The Swiss composer Émile Jaques-Dalcroze (1865–1950) is best remembered for his development of Eurhythmics, which teaches the appreciation of music through movement. 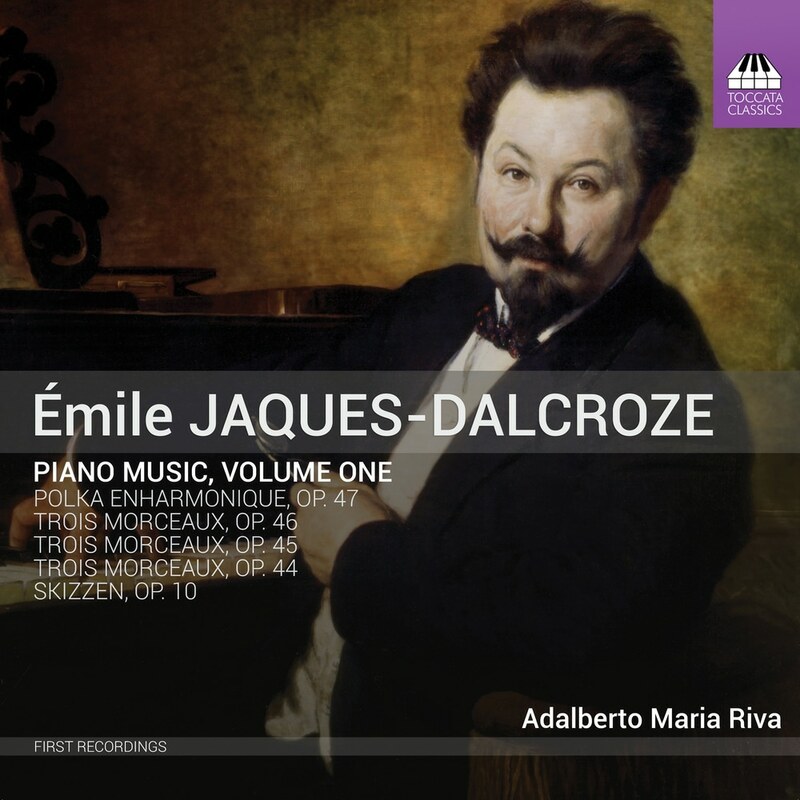 But Jaques-Dalcroze, who studied with Delibes and Fauré in Paris and with Bruckner and Fuchs in Vienna, was a considerable composer in his own right, with operas, cantatas and orchestral works among his substantial output. These piano works, all written in the 1890s, are generally lighter in style, showing the influence of Schumann and the salons of Paris. Winner of several national and international prizes, the Milanese pianist Adalberto Maria Riva received a special mention at the International Competition of Music IBLA Grand Prize in 2008. This distinction allowed him to undertake a tour in the USA in April 2009 with a concert in Carnegie Hall. His repertoire ranges from Bach to contemporary composers, a sequence that he presents in a cycle of concert-conferences based on history and pianistic literature in a number of cultural and musical institutions across Europe.